Yordan Georgiev lived in Dresden for the first time shortly after the reunification. In the Bulgarian’s opinion the city has developed for the better since then. Rays of sunlight illuminate the trees in a lush green, birds chirp in the background, the forest glade radiates a mellow tranquility – it wouldn’t be surprising if a pack of wild boars passed by the next moment. The city’s hustle and bustle seems far away, although the next main street is just around the corner. 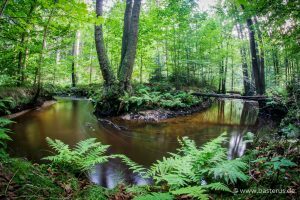 Dresdner Heide, the green heart of the Saxon capital, extends over an area bigger than 50 square kilometers – right within the city limits. “When I come here, it always feels like a trip to a resort,” Yordan Georgiev exclaims while sitting on a park bench. “I think, it’s a great place to switch off and recharge. It fills me with positive energy.” But as so often the peace of this quiet area is ruined by some small troublemakers: midgets. 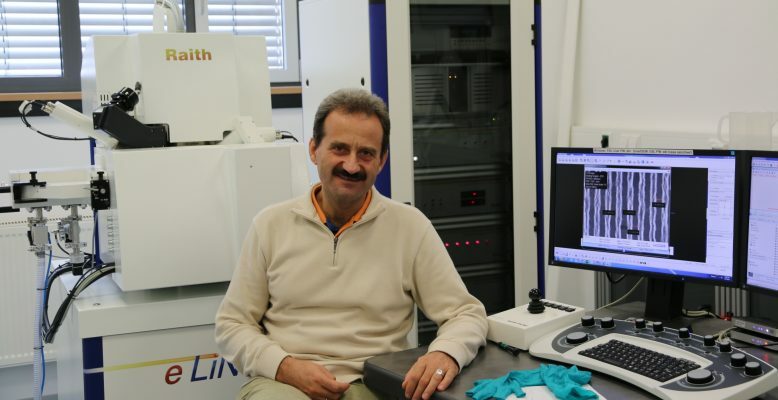 Not every city was as lucky after the political changes in the 90s, as Yordan Georgiev experienced himself: “In Bulgaria there was quite soon no money left for fundamental research.” That was the moment he accepted an offer from the Forschungszentrum Rossendorf – HZDR’s predecessor. Thanks to his good experience during his first stay it was an easy decision for the researcher to return last September after living and working in Aachen and Ireland – in particular “since Dresden has become one of the leading centers in Europe for microelectronics.” The physicist and his colleagues try to keep this success story going at the next level: the nanometer range.